We now live in a digital age characterised by intelligent instrumentation. 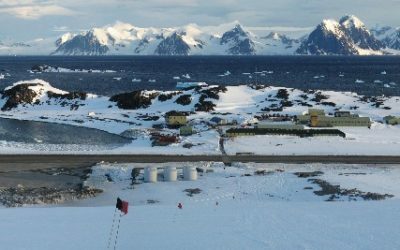 Remotely controlled and autonomous vehicles can help researchers sample parts of the ocean and atmosphere that were previously inaccessible, and enable cost-effective increases in geographic coverage of poorly sampled areas such as the Southern Ocean. 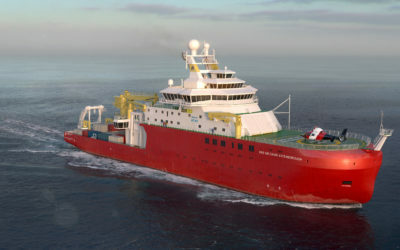 RRS Sir David Attenborough will be able better to exploit UK marine robotics capability through deployment of a new generation of autonomous and remotely-operated vehicles in polar regions. It will also incorporate enhanced communications and data handling capabilities to enable real-time data delivery and remote UK-based instrument operation. As an analogy, it will be the equivalent of an aircraft carrier, acting as a central platform that can deploy and operate a range of instruments and vehicles in a surrounding theatre of scientific research and exploration.  This enables efficient and optimal use of research resources and time. Autonomous underwater vehicles (AUV) are robots capable of traveling underwater without direct control from the ship. 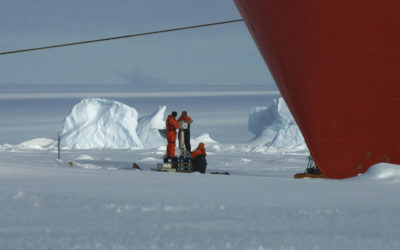 They usually travel along a pre-programmed path to survey locations that may be dangerous or impossible to reach for human researchers, including underneath ice shelves and at the calving fronts of glaciers. The Autosub range of AUVs was developed by the National Oceanography Centre. They are outfitted with the latest oceanographic sensors, battery technology and advanced satellite communications. Before launch from the ship, the AUV’s computers are programmed with instructions of where to go, what to measure, and what depths to go to. With no link to the mother ship, all communications with the AUV are limited to using acoustics while the AUV is underwater. Satellite communications can only be used when the autosub is on the sea surface. NOC have a number of different Autosub models, including the latest version, Autosub Long Range. 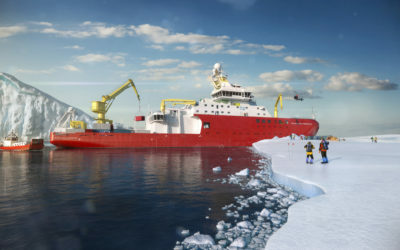 This vehicle is also known as Boaty McBoatface and was first deployed in the Antarctic aboard RRS James Clark Ross in March 2017 as part of a DynOPO research cruise. Autosub pre-deployment checks. 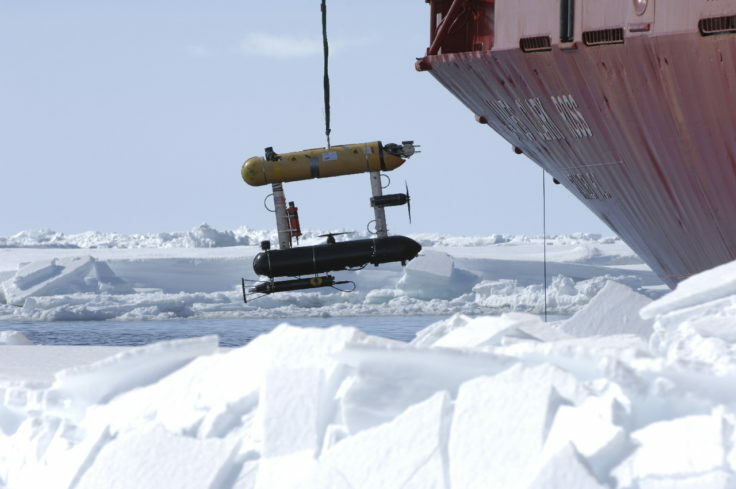 The autonomous unmanned vehicle (AUV) Autosub-2 travels beneath sea ice carrying a variety of scientific instruments to inaccessible parts of the ocean, to make measurements of Antarctic krill distribution and abundance, and of ice thickness. Unlike AUVs, Remotely Operated Vehicles remain connected to the ship throughout their diving operations via a cable. This allows an operator on board to directly control and maneuver the ROV. The cable acts as a “umbilical cord”, carrying electrical power to the ROV and relaying data such as video footage and data collected by the vehicle. 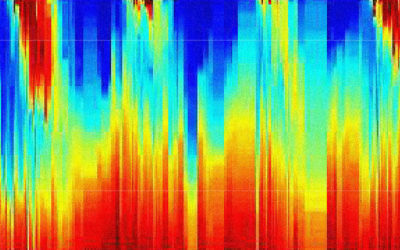 ROVs allow researchers to explore and sample the seafloor in a more targeted and precise manner than previously. They can reach depths that are extremely risky and difficult to access for piloted craft and minimise disturbance to the study site. The National Oceanography Centre currently operates one ROV, named Isis. 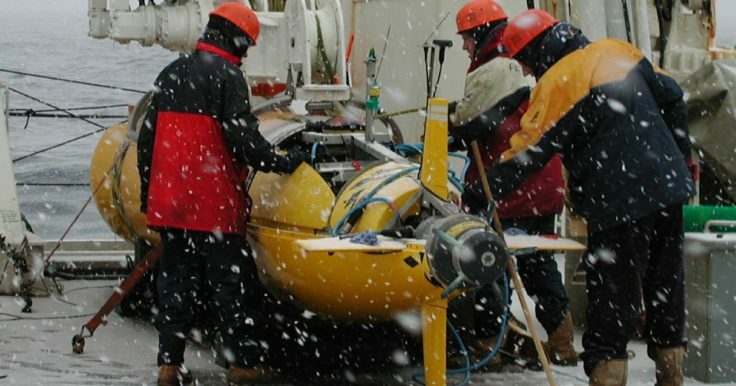 It is capable of taking seafloor samples, drilling sediment cores and relaying high-definition still and video imagery from depths of up to 6,500m. The RRS Sir David Attenborough will be capable of deploying Isis from its aft deck. Underwater gliders are a type of robotic underwater vehicle that uses an expandable oil-filled bladder to change the buoyancy of the vehicle instead of using a conventional propeller. As the liquid is pumped into or out of the bladder, the volume of the glider changes while its mass remains the same. As a result, its density changes and allows the device to rise or sink through the water. Its wings turn this vertical motion into forwards motion. 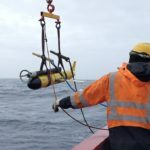 Gliders are extremely energy-efficient in terms of both their propulsion and instrumentation, making them a useful tool for gathering long-term data from the oceans. 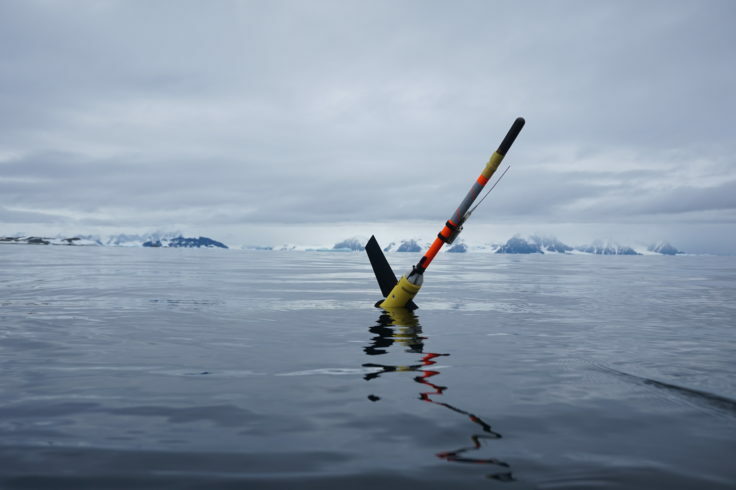 Depending on the sensors and instruments used, gliders can be deployed for up to 6-9 months. They can be directed via two-way satellite communications link while at the ocean surface.